We Love Chihuahuas » Breed Info » Why Do Chihuahuas Shake? Chihuahuas have long been known to tremble, shiver and vibrate at the drop of a hat and if you have ever wondered – why do chihuahuas shake, read on to find out. It is quite a normal occurrence for these dogs to tremble and often has nothing to do with health issues. Chihuahuas shake for a number of reasons and some shake more than others. Most of the time the shaking is not serious, but there are instances where it is due to some underlying problem. Low blood sugar. Low blood sugar, or hypoglycemia, is common in Chihuahuas. If yours shakes regularly first thing in the morning and you can find no other explanation, you can safely assume that blood sugar is the culprit. A change in diet, more evenly spaced and more frequent meals, avoidance of junk food and sugary treats plus more exercise would all help to even out a blood sugar problem. Excitement. A lot of Chihuahuas simply tremble out of excitement. They will shake when they are excited or in anticipation of going somewhere they like or when there is anything new happening in their lives. If the dog’s owner reacts enthusiastically to the shaking it might develop into a form of communication to express some emotion. Fear. 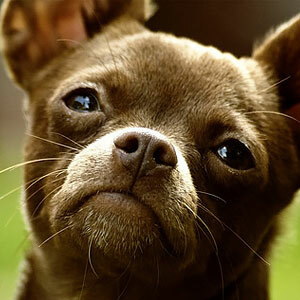 Some Chihuahuas shake from fear, especially is they have been subjected to any form of abuse. Firm but kind handling can go some way towards helping him overcome fearful emotions. Cold. Shaking raises the metabolic rate and warms a little dog up. These pooches don’t have much in the way of body heat to keep them warm in winter and they tend to lose what little body heat they do have rather quickly. Sometimes just warming them up will stop the shaking. Nerves. Some dogs have a nervous disposition. If your dog tends to shake from nerves, it will likely be accompanied by whining and crying. This is your cue to step in and provide reassurance. Try to be the voice of calm by speaking to him quietly and steadily. then remove him from the situation if possible. Breeding. Chihuahuas have been bred to have tiny bodies, but they have big personalities. They also have quite a lot of energy pent up in a small space and trembling and shaking helps to dissipate some of this. If you had to ask them why do Chihuahuas shake they would probably answer “Because I can”! Pain, earache. Although shaking is a common trait among Chihuahuas, there are some instances where it could signal some form of distress. If a dog suddenly starts shaking violently or shakes his head it could be something to do with his ears. Shaking is an accepted part of chihuahua behavior and most of the time it is nothing to worry about. Hopefully this article has answered your question in enough depth so that you no longer have to ask – why do chihuahuas shake.